Meadllennium2006 is now accepting entries. For more details and entry forms, go to: http://cfhb.org/ and click the Meadllennium link on the sidebar. Last year we were the largest mead-only competition in North America, and anticipate another great year in 2006. We will be judging all of the BJCP mead categories (24 A, B & C; 25 A, B & C; 26 A, B & C). Last year we even expanded the categories and awarded medals for Dry, Semi-sweet and Sweet meads in the “Other Fruit Melomel” category (26C). When was the last time you heard of a competition giving MORE medals? We even pulled some Braggots out of 26C (Open Category Mead) to judge all Braggots together – rather than collapse them into another category. Once again, we have a panel of experienced mead judges, including the president of the BJCP and a wine sommelier, waiting to sample the best meads in the world. As usual, we will be using special wine tasting glasses to evaluate the meads. We will award medals to all first, second, and third place winners, plus an etched goblet for category winners and the BOS winner. Also, the club with the most points will receive a special award (the host club, the CFHB is excluded from this award). The last two years this has been the Great Northern Brewers Club from Anchorage, Alaska. Is there a club out there that can wrest the award from them? 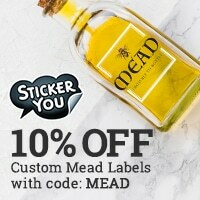 We look forward to tasting the best meads you have to offer. How many entries did you have last year? Sum total that is. Sorry it has taken so long to reply, but, the Meadllennium organizer is reluctant to give me the numbers. 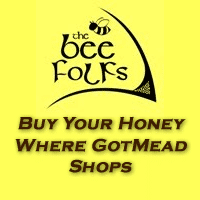 I asked how we can continue to brag and call ourselves the "largest", and his reply was that there were only two "small" (less than 60 entries) mead only competitions for non-profesional meadmakers and the MeadFest for comercial meads. He said we nearly doubled the number of entries for MeadFest and more than doubled the entries for the other competitions. I did a little checking on my own, and added to his statements, believe we had more than 130 entries but less then 170 entries. I appreciate you taking the time to follow-up and respond. I think the Meadllennium organizer (is this Ron Boch?) may not be aware that Meadfest is hosting a competition in February of 2006 for Home Mead Makers. I'm the chairman of that committee and we are very encouraged by the number of entries we've had for a first year competition. It's looking like we'll have right at, or just above 200 entries in the competition this year. Like I said for a first year competition we're really enthused with the excitement generated by the meadmaking community and their participation in this year's event. I think it's great that we'll have two large mead only competitions in the USA beause it can only benefit the art and craft of mead making for both home mead makers and commercial mead makers as well. Best of luck with the competition, I know that several of us on the committee are entering Meadllennium to show our support. Believe me, we are well aware of your competition. We are worried that having two major competitions three weeks apart would diminish one or both. These beer clubs just don't understand that meadmakers do not always make 5-gallon batches (many only make 1 gallon at a time), and it takes a lot longer to be ready than most beers. Six bottles is also quite an investment. There is room for more competitions. We coexisted with Mazer Cup for several years, but, they were held several months apart. I hope that we both do well. I have sent five of my meads to you, to show my support. It should be interesting to compare the comments and scores from both competitions. Are you using the BJCP style guidelines and judging forms? If not, what styles will you be judging, and what criteria will you be using? What scoring system? If you prefer, we could "talk" off-forum. Let me know. Thanks for the follow-up. We're definately using the BJCP style guidelines, as well as getting sanctioned by the BJCP so judges will be able to pull their neede points and such. We're looking forward to the competition in February. It's really great to have such active participation from International and Domestic commercial meaderies there as well because it's all about the mead in my opionion. I'm sure we'll both do well and hopefully in the comming year we can work together to ensure the growth and success of both MeadFest and Meadllennium. I have several ideas going forward and would be happy to speak with you offline. I have some ideas, too. We will "speak" soon. This link - http://cfhb.org/..\..\..\..\..\..\Mead2006EntryForm.pdf - is bad, it results in - The requested URL /..\..\..\..\..\..\Mead2006EntryForm.pdf was not found on this server, removing, ..\..\..\..\..\..\ from the link makes it work. I'd like to enter a mead in this contest but, Adobe Reader does not support the Unix clone OS my system runs on.